I’m kind of always looking at my phone or on the computer. I don’t want to admit that it can be a bad habit. I’m a millennial kid! It’s 2014! I’m a Communication major! Media is my life! But sometimes it can be a little much. I’ve been meaning to write a post just on our phone obsessed culture actually. For now, take a look at what I’ve been reading lately across the web. Wondering how the whole felfies (farmers + selfies) thing get started? According to this article, it started with the Irish. Heck ya! Social media is a game and #wining at it can be tough. But I found this guide by Claire Diaz-Ortiz particularly helpful. It’s funny too! 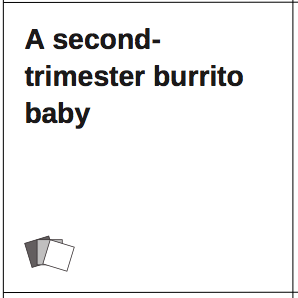 The popular game Cards Against Humanity, which has been described as similar to Apples to Apples but for adults only, is getting a makeover. Here’s an interview with the woman who is giving the game a ladies edition. Our culture is way obsessed with beauty, especially the female body. Have you heard about the app marketed at kids that gives overweight “Barbie” plastic surgery? Buzzfeed did a good job covering that. Over on Rolereboot, Soraya Chemaly goes more in depth on on the issue. Seriously, what’s going on with children’s toys? I’m glad Amy Poehler won a Golden Globe. She’s amazing. The snubs were disappointing though. Sharing a room is hard. Making good use of any space can be tough! You feel me? Refinery29 has cool tips on how to make the most of a small space. Buzzfeed quizzes are so on point. Find out what city you should actually live in and which New Girl character you are because I’m dying to know. See Ramiro Gomez Jr.’s Domestic Scenes exhibit at the Charlie James Gallery before Feb. 15, if you haven’t already. Twenty museums will be offering free admission on Saturday, Jan. 25. Yay!